16-year-old Agnes Bailey lives with her mother, June. Agnes has been in and out of foster care for much of her life; she was detained at age 8, placed in a mental hospital, transferred to a temporary shelter, and then placed in a foster home. Agnes was reassigned every few months, was molested by a foster father, and was ultimately in ten foster homes by the time she reached 12 years of age. Agnes’ current living arrangement with June is not healthy; June struggles with drug addiction and appears to be abusive to Agnes. One day, Agnes runs away to the home of her absent father, Wall Street millionaire Tom Fitzpatrick. For the first time, Agnes meets her half-siblings and stepmother. However, Tom’s wife is not pleased to see Agnes. When she learns that Agnes is pregnant, she requires Agnes to terminate the pregnancy or to leave the home. Agnes runs away again. She is hospitalized after a car accident. 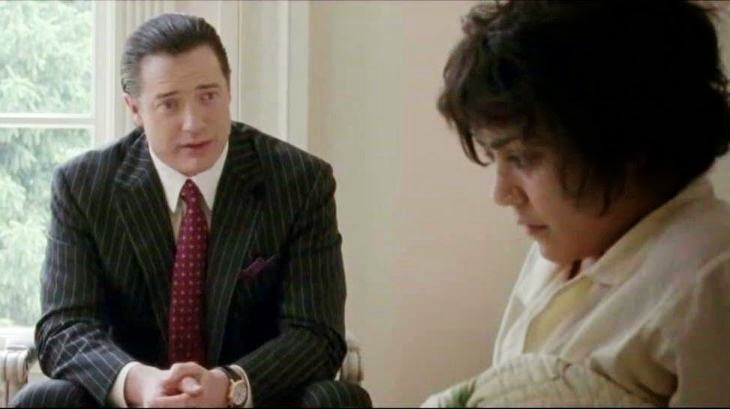 The hospital chaplain connects Agnes to a home for pregnant teenagers. There, Agnes is welcomed and accepted. Agnes’ mother resurfaces, trying to get Agnes to return home to her. When Agnes refuses, June becomes manipulative and violent. Eventually, Agnes gives birth to Hope. Somehow, her stepmother has a change of heart and decides to offer Agnes a place in her home, but Agnes has already found a home at the shelter. Agnes is strong, resilient, and ultimately able to stand up for herself and make her own decisions. Some adults in the film – the group home director and the hospital chaplain – do not give up on Agnes when she makes poor choices. These are ultimately the adults who impact Agnes’ life in a positive way. The film shows that a sense of family can be found in many ways, in many places. Agnes’ mom tells her, “Nobody wanted me to have you.” This could be a difficult scene for some viewers. There seems to be a lot of trigger potential in this one for kids who have experienced some of the more negative parts of foster care. For some viewers, it may be validating to see someone go through what they’ve been through, and encouraging to see that she comes out OK. For others, it may be traumatic to vicariously revisit some of their own experiences. Agnes’ stepmother tells her father, “I want her out.” Later, she makes an appointment for Agnes to have an abortion, without consulting Agnes, and tells Agnes that in order to stay with the family, she has to cooperate. She also abandons Agnes, which is a huge problem (see Earth to Echo for more). When she eventually changes her mind and makes a place for Agnes in her home, we aren’t given an understanding of what brought about the change. Even at the end of the film, it’s difficult to trust her. This could be painful for some viewers. Agnes’ mother is a poor black woman. Her father is a rich, white man. By the end of the film, her father has made space for her in his home, but ultimately respects her decision. Her mother attacks her with a razor blade. This may reinforce some viewers’ negative socioeconomic stereotypes and prejudices. 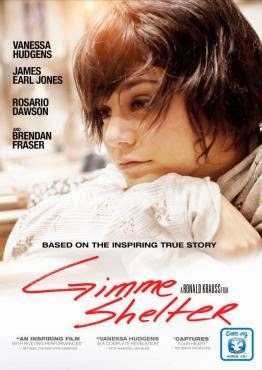 Gimme Shelter offers a lot of material for conversation, and could be helpful for prospective foster parents and prospective foster-adoptive parents who want to understand what older kids in foster care experience. It could also be helpful for young adults who have been in foster care and who have already processed their feelings about their time in foster care – it is at its heart a hopeful film about a resilient young person. Young viewers, and viewers who have unresolved or undiscovered issues from their time in foster care or unresolved feelings towards their family of origin might find this film to be very disturbing to watch. I recommend it for people considering becoming foster and adoptive parents, but caution against using the film for kids and teens with ongoing or unresolved emotional issues. Agnes wonders why God wasn’t there for her. How would you answer her? Why do you think Agnes returned to the shelter instead of living with her father and his family? Of the different places you’ve lived – which felt like family? Which didn’t? What made the difference?